Value Quest Food developed a new candy line for adults and children who love fruity chewy treats. 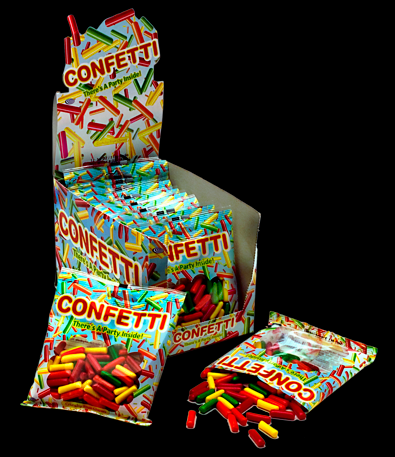 Confetti packaging design was created to highlight the whimsical nature of the fun candy treats. The multi colored candies looked like confetti falling form the air and this idea was designed into the packaging.